The uninterruptible power supply (UPS) is a back-up power system used to ensure uninterrupted power for various electronic devices. All but the most basic UPS systems also condition incoming power to level out sags and surges, helping to prevent damage to today’s sensitive electronic gear. The UPS has it’s own rechargeable battery which provides emergency power for your system immediately when the main supply is cut, therefore preventing data loss. In the event of a sustained power failure, the UPS will provide sufficient battery power for your files to be saved and for the whole system to be shut down in an orderly manner. If an alternative power source such as a generator is available, the battery will provide sufficient power to keep your system running until the secondary supply is brought online. Most UPS’s also filter the power supply entering your computer system, limiting the detrimental effect of “spikes”, “noise” and other electrical disturbances. More efficient than double-conversion devices, but offer less protection. A good fit for loads with a higher tolerance for failure. The UPS stays on battery power until the AC input returns to normal tolerances or the battery runs out of power, whichever happens first. Most commonly used to protect POS equipment and single work stations. 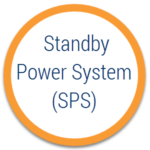 Standby UPSs allow IT equipment to run off utility power until the UPS detects a problem, at which point it switches to battery power. Most commonly used UPS system for network environments. 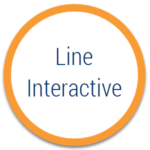 Used for small networks all the way up to enterprise applications. These UPS systems regulate input voltage up or down as necessary before allowing it to pass through to protected equipment. Less efficient, but provides the highest levels of protection and are usually the standard choice for protecting mission-critical systems. The double-conversion process isolates critical loads from raw utility power completely, ensuring that IT equipment receives only clean, reliable electricity. In normal operation, a double-conversion UPS continually processes power twice. Although they may be more expensive than either single or double conversion systems, they are the best choice for companies looking to achieve an optimal blend of both efficiency and protection. These combine features of both single- and double-conversion technologies and provide substantial improvements in both efficiency and reliability.